2017 was the year of trousers. 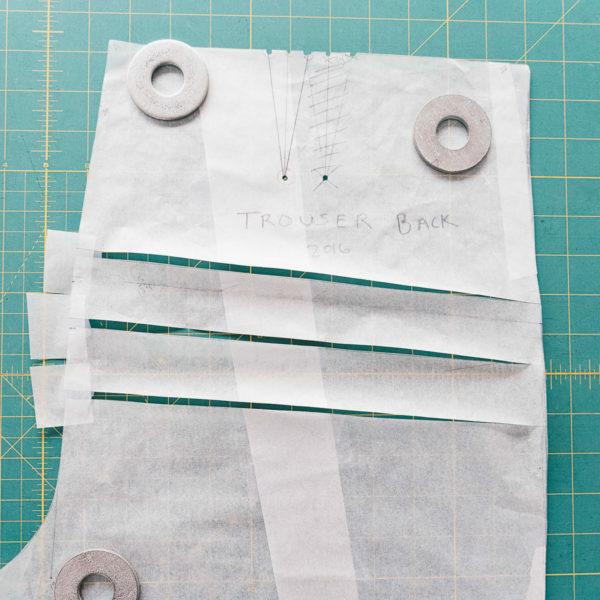 I set out at the beginning of the year to redraft my trouser pattern from scratch, thinking the process would be relatively simple. It was not. Most of my free sewing time was used on this one new pattern, and despite my lack of updates, I actually spent a lot of time sewing in the last twelve months. 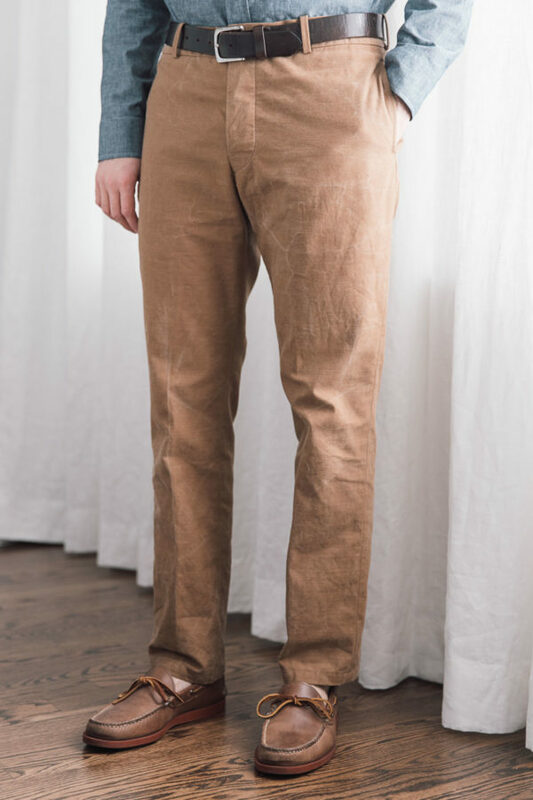 I started with a trouser draft I found in the Cutter and Tailor forums (amazing tailoring resource by the way). If you are interested, it is the draft found in this thread. You may have to create a free account to view and download the draft. 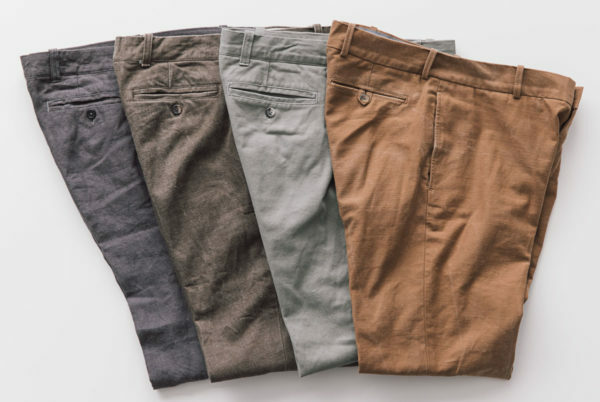 Most of the above trousers are pretty much the same with some minor differences. All of the fabric except the gray pair on the far left was purchased from an Imogene and Willie “yard sale” in Nashville years ago. I have a ton of this stuff, and will be sewing from it for years to come. 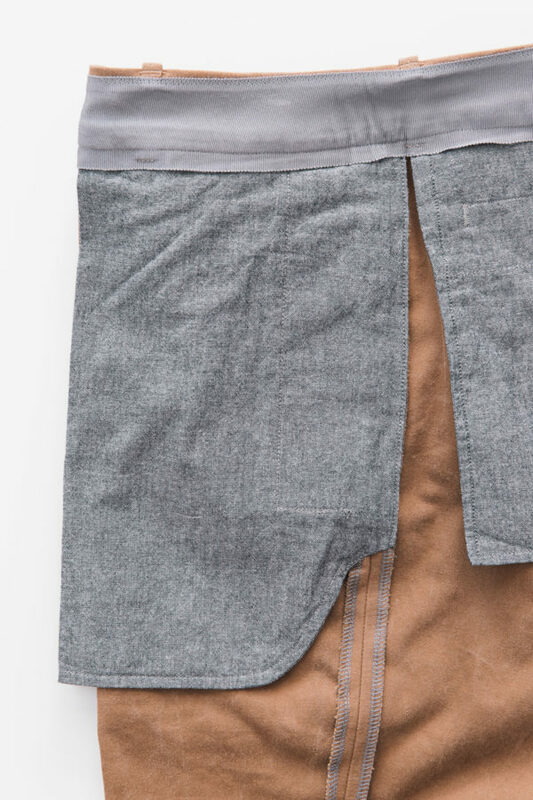 The gray pair was made from linen I bought while traveling in Japan in April of 2017. 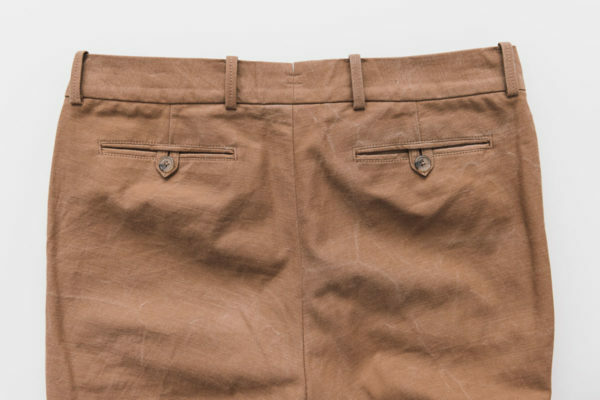 I am happy with the latest changes I made as seen here on this brown/tobacco pair of chinos. The side seams are more balanced, with a better fit through the leg than previous attempts earlier this year. The fabric I used took on a really weathered look after washing it. I’m not sure why, but it was unexpected, and not exactly the look I was going for. I decided to embrace it and make the pants anyway. They have been worn four or five times, but look like they traveled around the world. This was my first attempt at in-seam front pockets, and while I love the way they look and blend in with the seam, I will be changing them to slanted pockets on the next pair. I use my pockets a lot for keys, phone, sunglasses, etc. I am always in and out of my front pockets, especially when traveling. While it may seem like a small inconvenience, I strongly dislike the extra reach backwards to access the pockets. Maybe my shoulders don’t rotate far enough back…? I’m not sure, but it drives me nuts. I feel like a contortionist just reaching for my phone. A slight slant towards center front of 1” or 1 1/4” makes a huge difference. I learned a new technique for finishing the inside front pocket bags that I will be keeping for future pants. 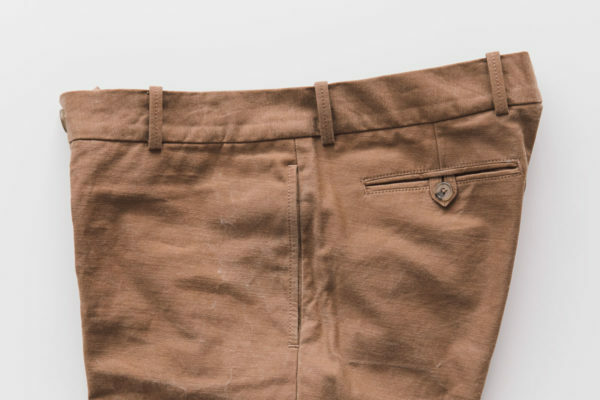 After examining the pockets on my suit trousers (store bought), I noticed that the side seams were pressed completely open under the pocketing, and that one side of the pocket bag was attached to the back seam allowance on the side seam. 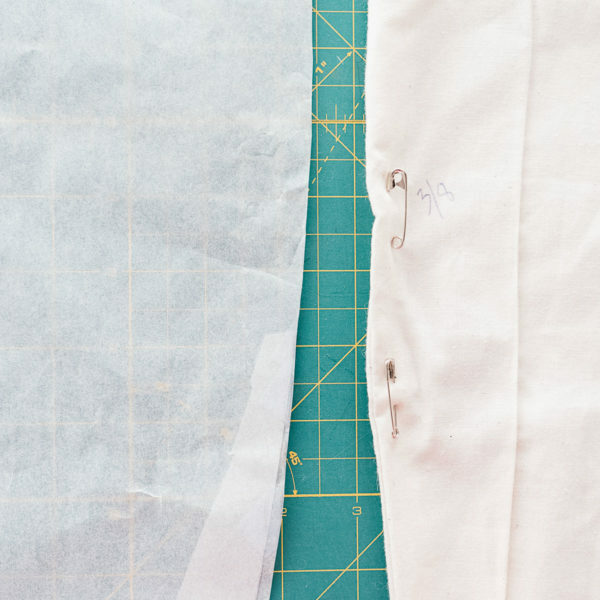 The standard way I’ve been making front pockets is to finish both layers of pocketing with both side seam allowances, surging it all together, and then doing some kind of “press-over fold” to get the rest of the side seam to press open below the pocket. I dislike that little press over, and dislike the bulk created by finishing all of the pocketing and side seam layers together. This method seems to distribute the bulk more evenly, and just looks nicer in my opinion. As usual, the draft was a fine place to start, but I made extensive changes to the pattern, and went through a decent amount of muslin testing the fit. Is my final pattern perfect, absolutely not. Is any clothing pattern ever “perfect”? If you follow me on Instagram, I documented some of the necessary changes I made to the pattern. Looks like I actually started this process at the end of 2016. I used Petersham to finish the interior of the split waistband. It may not look fancy, but it does give a clean, flat, and functional finish without adding a gazillion layers of fabric. Petersham will curve nicely with a hot iron and some steam, so it even works on curved waistbands like mine. 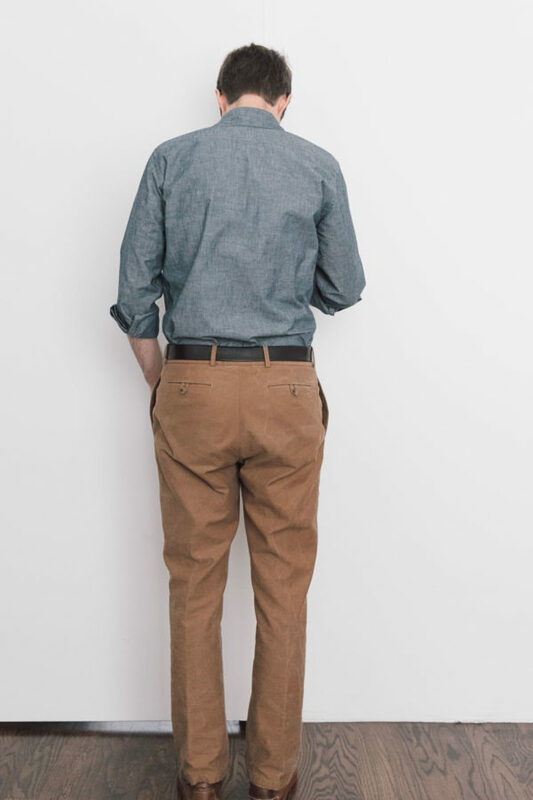 Lots of men’s trousers have these elaborate “curtained” waistbands, but I’ve never quite understood the function of all those layers on the interior of men’s trousers.” Maybe it helps the waistband and upper portion of the pants to lie flat with a shirt tucked in, who knows. Seems like a lot of extra bulk and unnecessary work to me. Alright, some more goofy fit pics. I used to cut my trousers a little slimmer through the thigh. Maybe I’m getting old, but I’ve decided that I like the comfort of a slightly roomier leg. It helps with some basic human things, like sitting down and walking up stairs. Plus I could actually wear these on a long haul flight and still be relatively comfortable. Here’s where I promise to post more in 2018. Seriously, though, I have every intention of doing so. 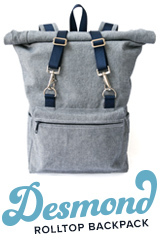 I also hope to release more bag patterns in the coming months. Fantastic! 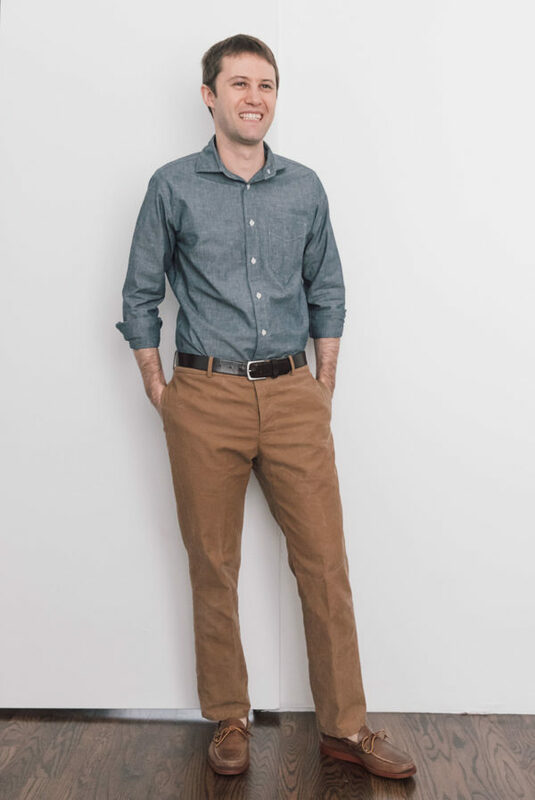 I decided to start making work pants for my husband and everything you’re showing makes great sense. The pants he’s been buying just wear out too quickly, so controlling the process only makes sense to me. I think working through the drafting process is the best way to go, although I do have a pattern to try out. Hope you will post more in 2019!! I created this blog to document my experience learning how to design and make my own clothes. I am on a mission to create my entire wardrobe from scratch. It’s going to take a while. ©2019 TaylorTailor. Design by Purr. PLEASE NOTE, the shop is still open, but all orders placed between January 10 and January 17 will be processed and shipped starting January 18. Pdf. pattern orders will be delivered immediately by e-mail. Thank you for your patience and understanding.